Could Your Cat be Hiding Pain? We love cats because they are mysterious and full of surprises. In fact, cats are so mysterious, it is often challenging to understand what they are thinking or feeling. We love our feline friends and want them to be comfortable and free from pain. But how do we know when “meow” really means “me-OUCH”? Pain in cats is often difficult to recognize because they are masters of disguise when they are hurt. Cats developed this instinct to avoid alerting predators to vulnerabilities such as injury or illness. It is easy to assume cats don’t experience pain like humans or dogs, since they don’t always exhibit pain with obvious signals like vocalizing. This is simply untrue. A good rule of thumb is if you think an injury or illness would be painful for you, it is more than likely painful for your cat. It is important to treat pain in cats, as it serves as a stressor that can negatively affect the immune system and healing. Additionally, pain that is not addressed properly may transform into chronic, maladaptiveNot providing adequate or appropriate adjustment to the environment or situation. pain that may be more difficult to treat in the long run. Learning how to recognize the subtle signs of pain in your cat is one way you can improve its quality of life and strengthen your bond. So what should you be looking for? One of the biggest signals of pain in cats is simply loss of normal behavior. Cats in pain no longer seem to enjoy their usual habits or just don’t seem themselves. Behavior changes such as sleeping more than usual, hiding and avoiding social interactions are potential signs of pain. Does your cat suddenly prefer to jump on lower, intermediate surfaces on its way to its favorite high windowsill? Or does your cat avoid its favorite high perches and lounge on the floor instead? Does it isolate itself in a closet away from daily family life? Change in appetite is another loss of normal behavior. Nausea from pancreatitis or other gastrointestinal diseases is unpleasant. Pain from cancer also affects appetite. You may observe a picky appetite or even refusal of food other than treats. Over time, you may notice weight loss in your cat. Expression of abnormal behaviors is also an important sign of feline pain. Vocalization, aggression toward people and other housemates, house-soiling and self-mutilation are examples. Does kitty suddenly flinch or bite during petting sessions? Is your cat chewing its fur and leaving bald spots? Is it suddenly urinating or defecating outside the litter box? Is its nighttime yowling keeping you awake all night? Your cat may be trying to tell you something hurts. 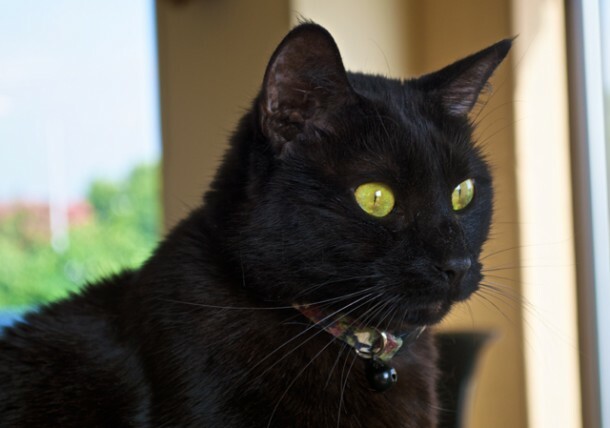 Your cat’s physical appearance may also change if it is in pain. Diseases like arthritis prevent your cat from stretching and reaching the areas it needs to groom. You may note a dull haircoat, dandruff and matting. The most common areas to lose luster include the abdomen, rump and backs of the legs. Are kitty’s claws thick and gnarled? Decreased claw sharpening is another potential sign of pain. Kitty is not a lazy groomer, rather it is in pain! These signs may be subtle, but you are likely to pick up on these cues at home. Your veterinarian wants to hear what you are noticing at home, even if the changes seem insignificant. 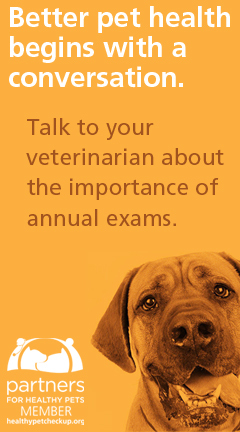 Our goal as veterinarians is to improve our patients’ quality of life. This includes alleviating pain. Several modalities are available to treat pain in cats, and many veterinarians employ multiple techniques to keep your cat comfortable. This is known as multimodal analgesia. As feline pain is complex, it is helpful to design an analgesic plan that attacks pain on various levels. Medications for cats experiencing pain come in many forms. Most medications can be formulated into pills, liquids, patches or even flavored treats to facilitate administration. Sometimes multiple medications are used together to take advantage of their synergistic effects. Just like people, some cats need adjustments in their doses, so it is important to monitor your cat’s improvement at home. It is also very important to only medicate your cat with prescriptions from your veterinarian because many over-the-counter pain relievers can cause illness or even death in cats. Pharmacologic intervention is only the tip of the iceberg when it comes to managing feline pain. Painful cats can benefit from cold laser therapy, which reduces inflammation and increases healing. Supplements to replenish the building blocks of cartilage may be given orally or with an injection. Acupuncture releases healthy endorphins that stimulate circulation and repair. Massage therapy and range of motion exercises help keep arthritic joints comfortable. Some cats will even tolerate treadmill therapy! If you think your cat may be in pain but aren’t quite sure, just ask your veterinarian. Consider keeping a daily journal to monitor your cat’s behaviors and notice a trend. Together, we can decipher your cat’s mysterious cues and ultimately improve its quality of life. Erin Dresner, DVM, MS, DABVP-Feline Practice, is a graduate of Western University of Health Sciences College of Veterinary Medicine. 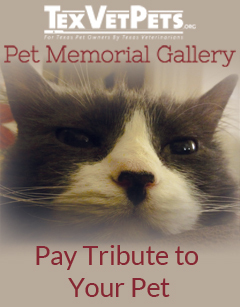 Dr. Dresner practices at Just Cats Veterinary Services in The Woodlands, Texas.